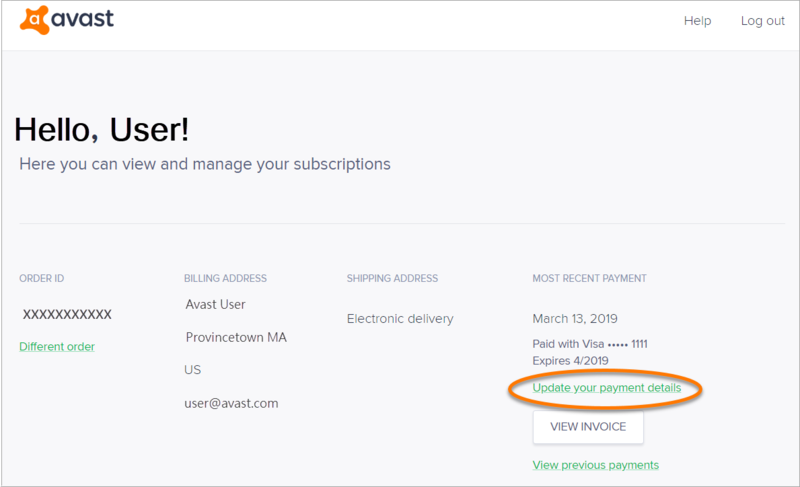 You can update your registered credit card details for automatic renewal subscriptions at any time via the Avast customer portal. How do I recognize Avast purchases on my debit/credit card statement? Type your order ID and password, then click Find order. 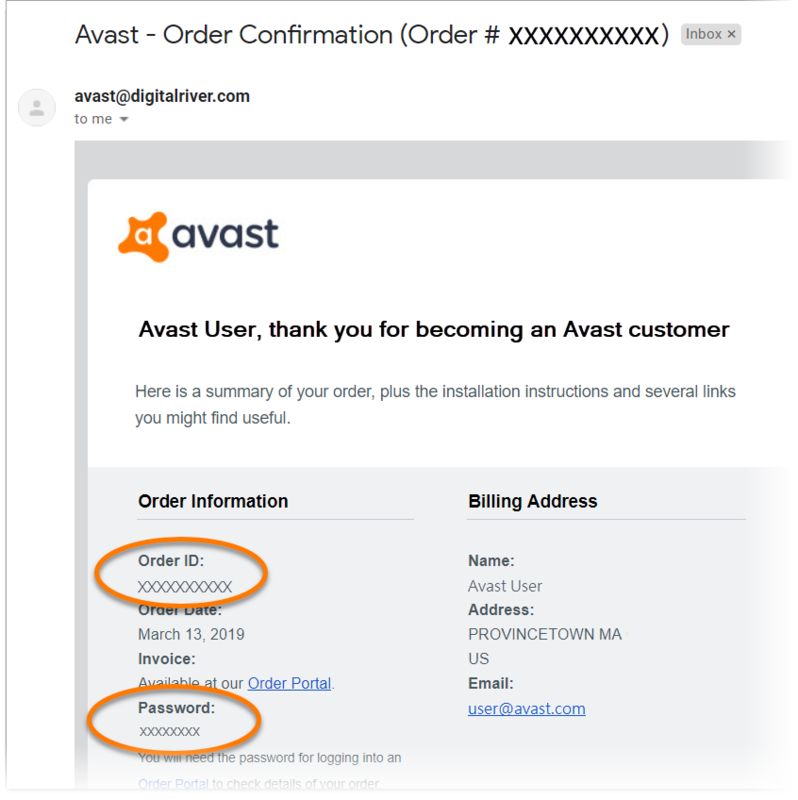 You can find your order ID and password in your order confirmation email from avast@digitalriver.com. If you are unable to locate this email, click Forgot your order ID? and provide your email address and the last four digits of the credit card you used to make the purchase. At the top of the Your subscriptions page, click Update your payment details. Type your updated credit card number, expiration date, and CVV number. Optionally, click the Edit icon to modify your existing billing details. Click Save to confirm the changes. 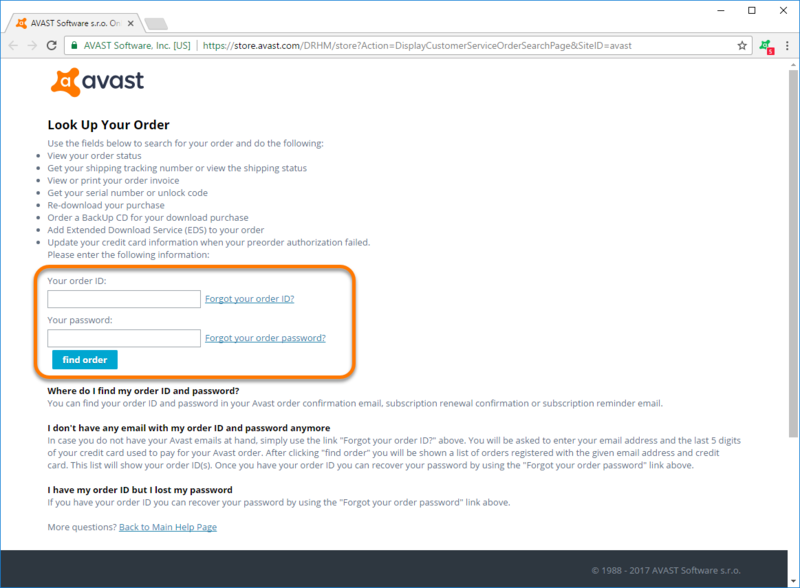 Your updated credit card information is valid only for the order ID you used to sign in to the Avast customer portal. 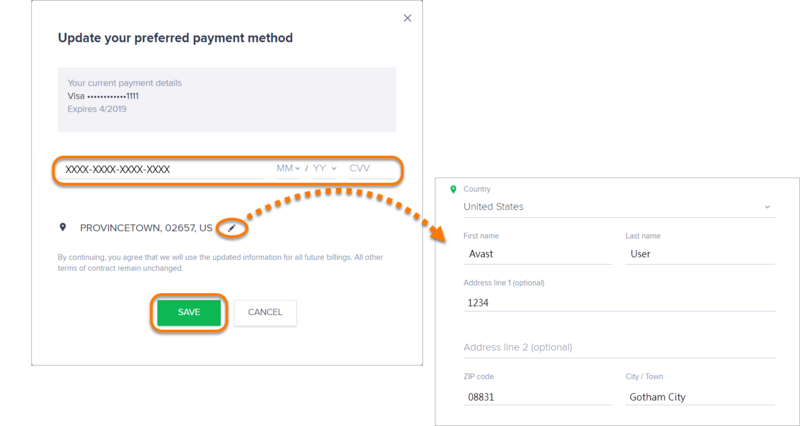 To update the credit card information for other orders, click Different Order at the top of the Your subscriptions screen, and repeat steps 3-4 above. Your payment details for the automatic renewal of your subscription are updated.